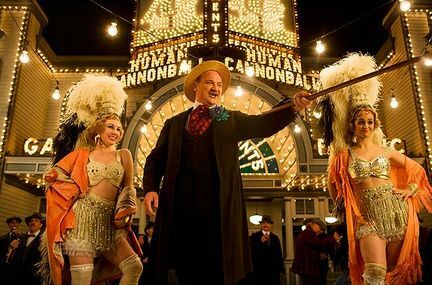 WILL WIN: Boardwalk Empire – The HFPA loves a film pedigree, and with Martin Scorsese and Steve Buscemi, this one has it. SHOULD WIN: Breaking Bad, but it wasn’t even nominated, so Mad Men – The series’ fourth season was its best so far, as we got to see the the new Sterling Cooper Draper Pryce and the downward spiral of Don Draper. 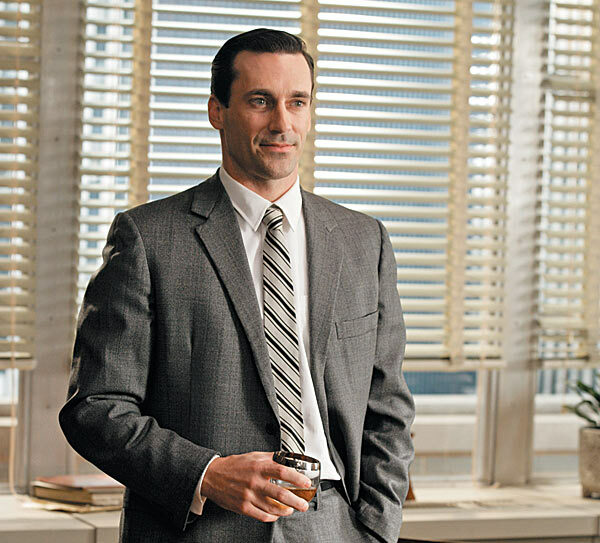 WILL WIN: Jon Hamm – He is on the HFPA’s radar after winning in 2008, and this season he gave his best performance yet as a deteriorating Don Draper. SHOULD WIN: Bryan Cranston – His work as Walter White in Breaking Bad‘s third season was top-notch, as always, and he already won the Emmy for his performance. 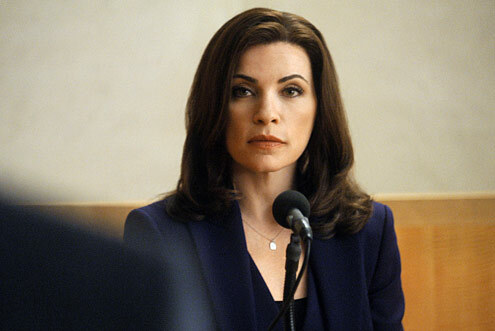 WILL WIN: Julianna Margulies – She won last year, and has continued to deliver a wonderful lead performance on one of broadcast’s best dramas. Could be edged out by Sedgwick, though, who won the Emmy this year. SHOULD WIN: Katey Sagal or Elisabeth Moss – Sagal didn’t receive the awards attention she deserved for her work on Sons last year, so this would help make up for it; Moss continued to shine as Peggy, and her work in “The Suitcase” helped make it one of the best episodes the series has ever done. 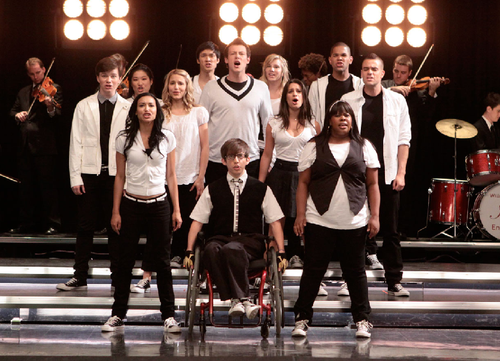 WILL WIN: Glee – It’s wildly uneven, but it’s in the zeitgeist, and that’s what the HFPA cares about. SHOULD WIN: Modern Family – Last year’s Emmy winner has continued to shine this season, and while I would have included Parks and Recreation, Community, Party Down, and Cougar Town over most of the nominees, out of this crop, MF deserves the win. 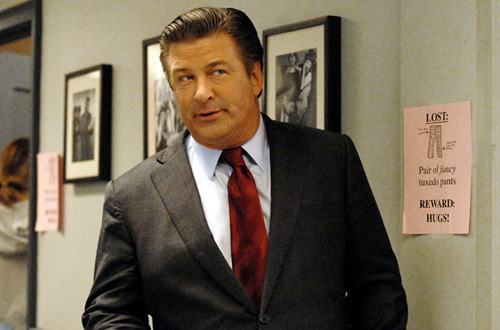 WILL AND SHOULD WIN: Alec Baldwin – He’s won three times before, losing only to David Duchovny in 2008. With Duchnovny out of the running this year, Baldwin should continue his streak. Plus, his Jack Donaghy is consistently the funniest part of 30 Rock, and grounds the show even when it veers off into unevenness. WILL WIN: Laura Linney – The Big C itself won’t get any love, but movie-star Linney should be able to pull out the win over her Showtime colleagues. SHOULD WIN: Tina Fey – It’s not really fair to compare Collette, Falco, and Linney’s much more dramatic roles to Fey’s comedic one, but that’s the way the Globes work, and Fey continues to give a great performance as Liz Lemon. 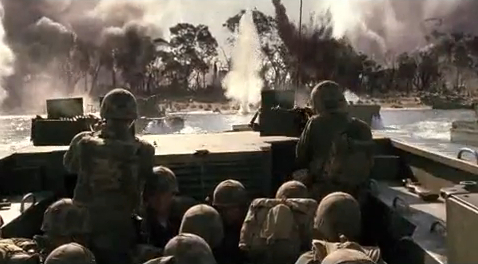 WILL AND SHOULD WIN: The Pacific – The epic mini-series from Steven Spielberg and Tom Hanks wasn’t as universally-praised as Band of Brothers, but it was still a masterful 10-episode look at the other half of WWII, and the HFPA should reward it for its pedigree and grand scope. 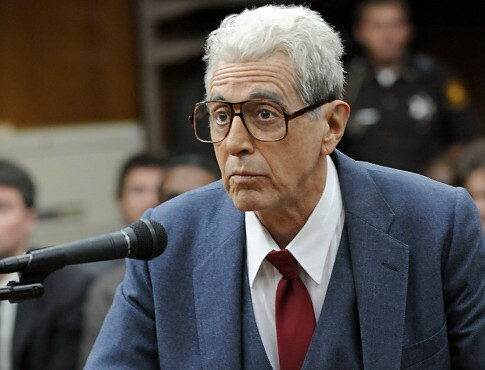 WILL AND SHOULD WIN: Al Pacino – Again, he’s a movie star, but he also has multiple former nominations and an Emmy win for the role. It’s his to lose. 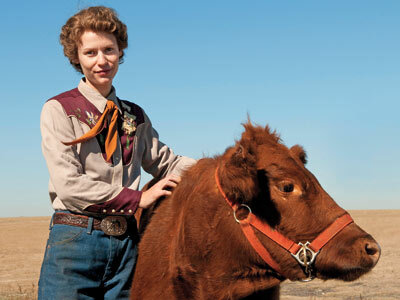 WILL AND SHOULD WIN: Claire Danes – Her Temple Grandin performance was universally acclaimed, and had great support from the real-life Temple Grandin. Like Pacino, it’s hers to lose. 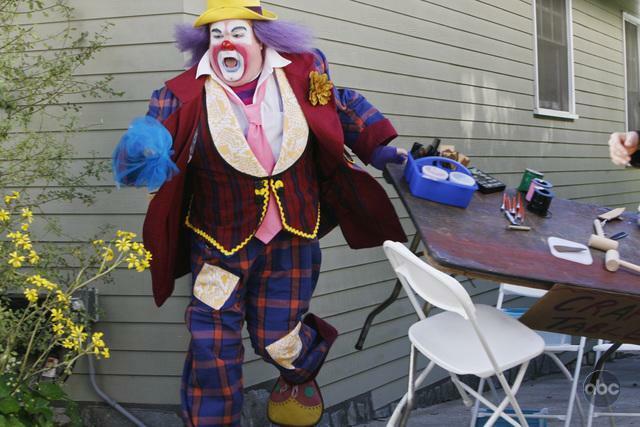 WILL WIN: Eric Stonestreet – He won the Emmy last year, and if the HFPA awards the Best Comedy trophy to Glee, this will be their way of showing Modern Family some love, too. 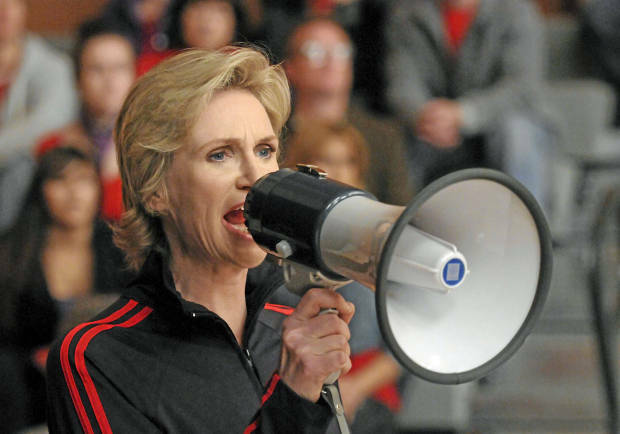 WILL AND SHOULD WIN: Jane Lynch – Even though Sue Sylvester is often a two-dimensional villain on Glee, Lynch adds something special to even the flattest of story lines. It’s likely the HFPA will follow Emmy voters’ thinking and reward her here, too. 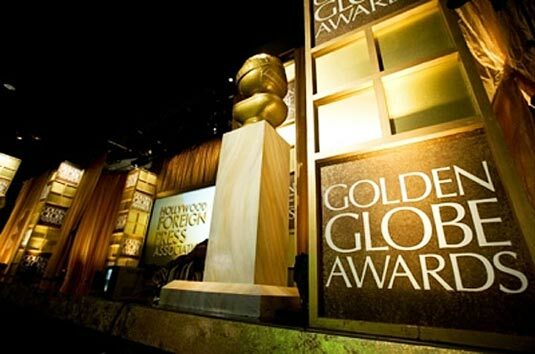 This entry was posted in Golden Globes and tagged Al Pacino, Alec Baldwin, Boardwalk Empire, Claire Danes, Eric Stonestreet, Glee, Golden Globes, HFPA, Jane Lynch, Jon Hamm, Julianna Margulies, Laura Linney, Television, The Pacific, TV. Bookmark the permalink.